This hat is a 6-Panel constructed cap and features 3-D High Definition embroidery. 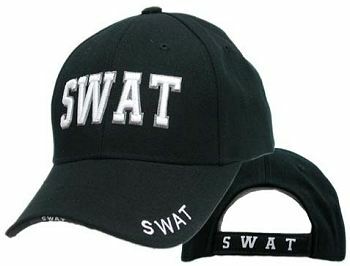 SWAT (short for Special Weapons And Tactics) is embroidered on the bill and the sandwiched edge. An adjustable hook & loop strap provides the perfect fit.